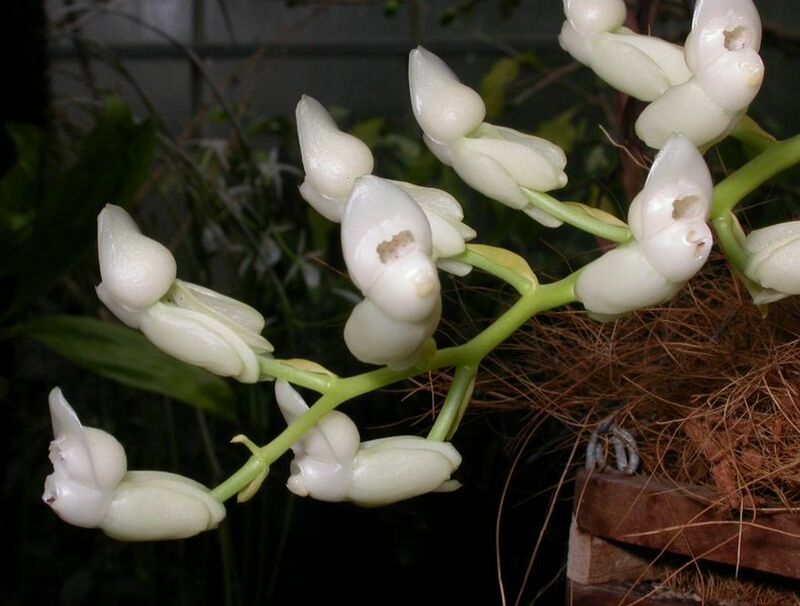 Found in Panama in wet montane cloud forests at elevations around 400 meters as a small to medium sized, warm growing epiphyte with fusiform pseudobulbs enveloped completely by imbricating dry, inflated leaf sheaths with the uppermost carrying elliptic, plicate, basally clasping, acute leaves that blooms in the later spring on a basal, erect, racemose, loosely flowered inforescence and carrying fragrant flowers that are widely spaced. Consistently misidentified as D dilecta, but differs in the shape of the nearly square labellum opening is entire while in D dilecta the elongate labellum opening has an erose margin. In D severiniana the inflorescence is a loosely flowered racemose, while D dilecta has a densely flowered subcapitate inflorescence with flowers that overlap.